1) Beautifully Regal interiors inspiration as featured in my home...OK, it's the Queen's home Buckingham Palace. 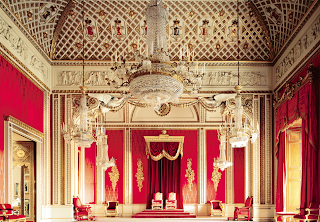 Understated huh? 2) Limited Edition Lancome - Jubilee Genifique Youth Activating Concentrate, gimicky, expensive, Monarch approrpriate! 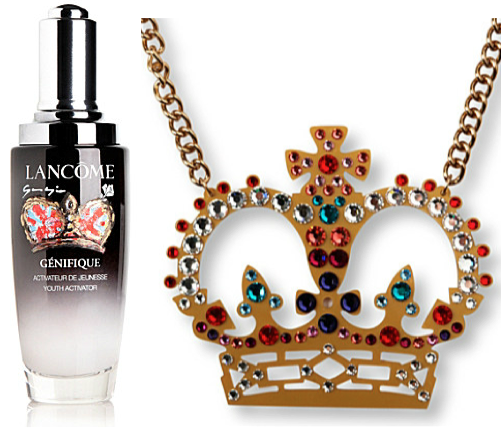 3) Adorable crown necklace from cult London label Tatty Devine, perfect for your street party. 5) Estee Lauder can always be relied on to release a compact in celebration of, well, anything really and the Jubilee is no exception, Union Jack Solid Fragrance compact, £320.00. 6) Celebrate 60 years in comfort with this cute Changing of the Guards vest from British brand Aubin and Wills. 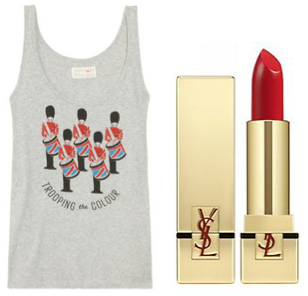 7) YSL - Rouge pur Couture - A Right Royal Red. 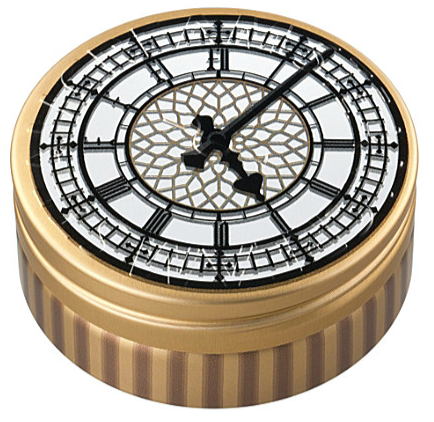 8) Steam Cream in a glorious Limited Edition Big Ben Tin, Adorable. What are you doing in celebration of The Queens 60 years on the throne? Did you even know this was happening? 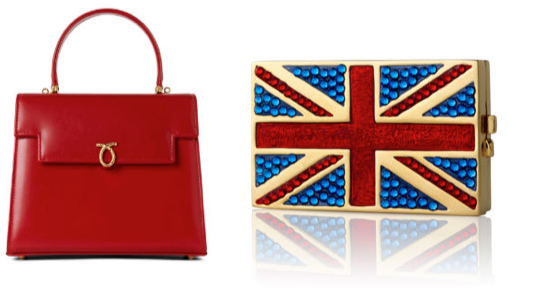 I'm sort of excited about the Jubilee too! I have my outfit planned already! I just wanted to let you know that I am giving away a cute Cuddles the hedgehog necklace from Sphere of Life on my blog and anyone can enter. Hopefully you might want to check it out!